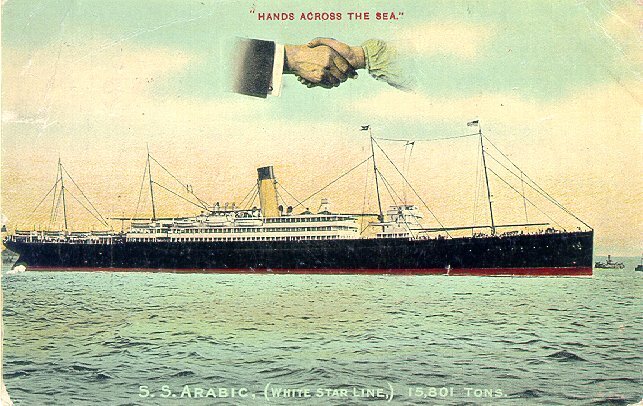 This Arabic was the second of three White Star liners by that name. Built by Harland and Wolff, Belfast, this ship was laid down as Atlantic Transport Line's Minnewaska but during construction both Atlantic Transport and White Star were taken over by J.P.Morgan's International Mercantile Marine Co., which transferred the ship to White Star. 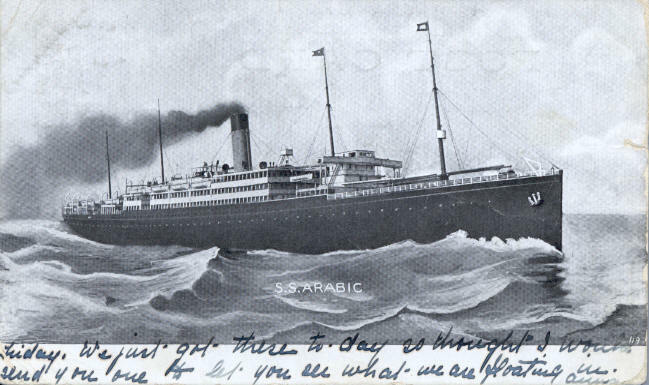 Her design was modified and she was renamed Arabic prior to her launch in December 1902. 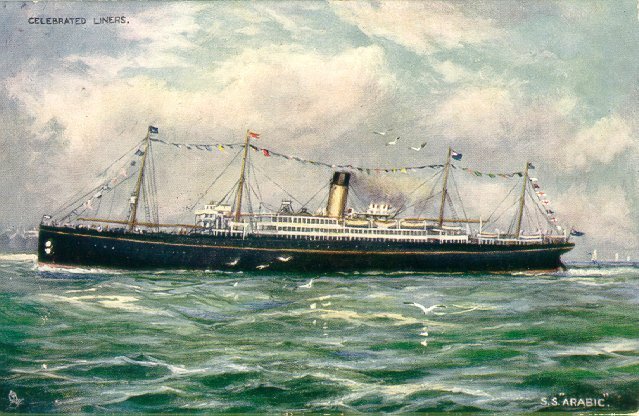 Her maiden voyage, Liverpool-New York, began on 26 June 1903. 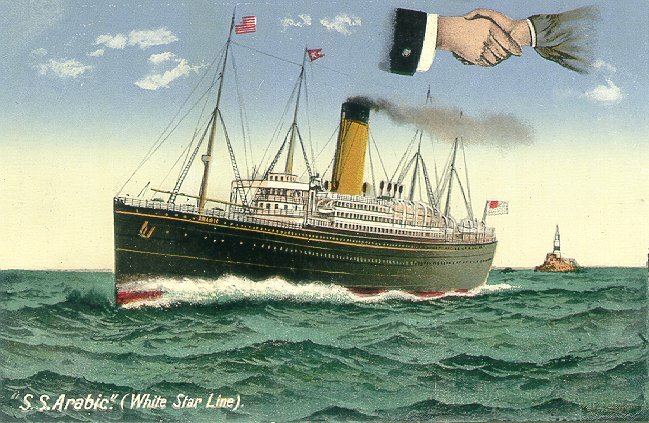 From then until World War I, she was used at various times on White Star's Liverpool-New York and Liverpool-Boston services. 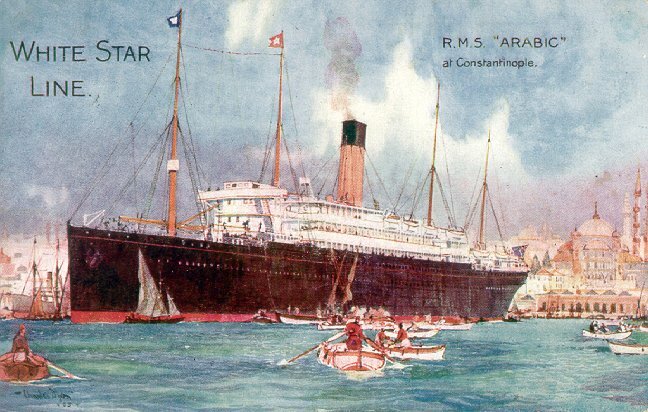 Unlike much of White Star's fleet, Arabic remained in commercial service during the war, on the Liverpool-New York route. 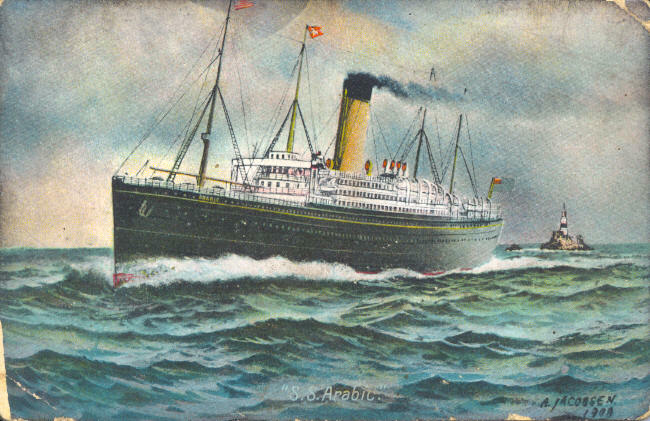 On 19 August 1915, Arabic was torpedoed without warning by U24 off the Old Head of Kinsale, Ireland, and sank within fifteen minutes. Forty-four people died, but 390 were rescued. 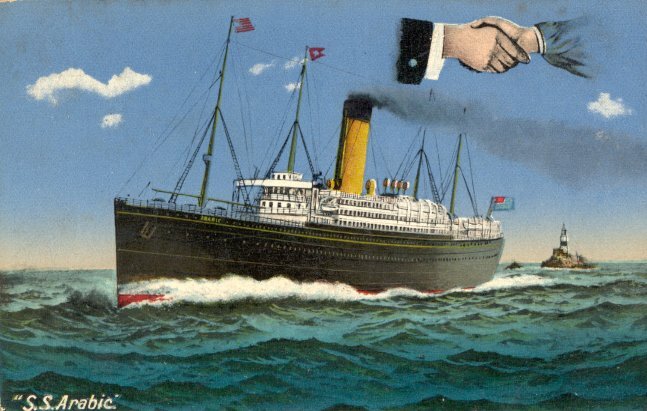 American protests over the attack prompted a German pledge that there would be no further unannounced sinking of merchant vessels, a promise revoked with the 1917 announcement of unrestricted submarine warfare. 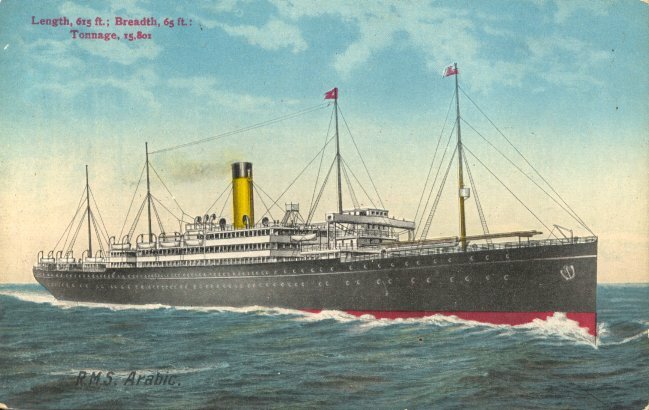 In a fitting memorial to the first White Star liner lost as a result of enemy action, NDL's Berlin, ceded to Great Britain as a war reparation, was purchased by White Star and renamed Arabic in 1920.